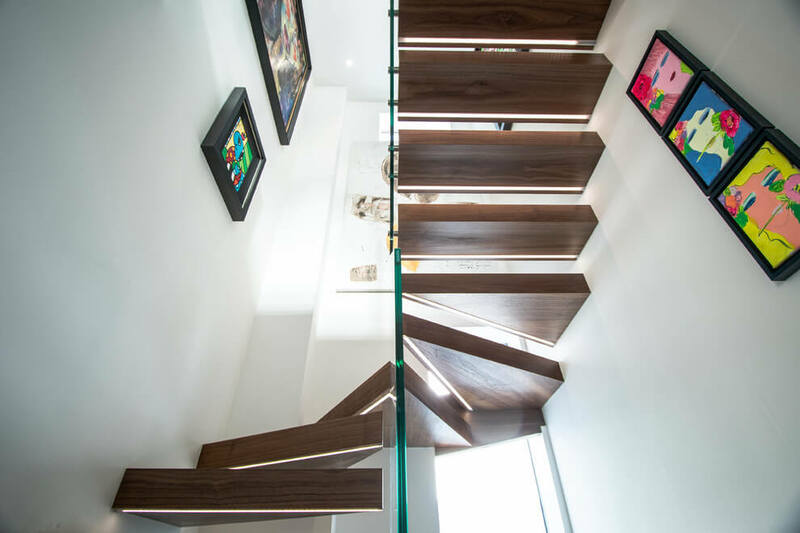 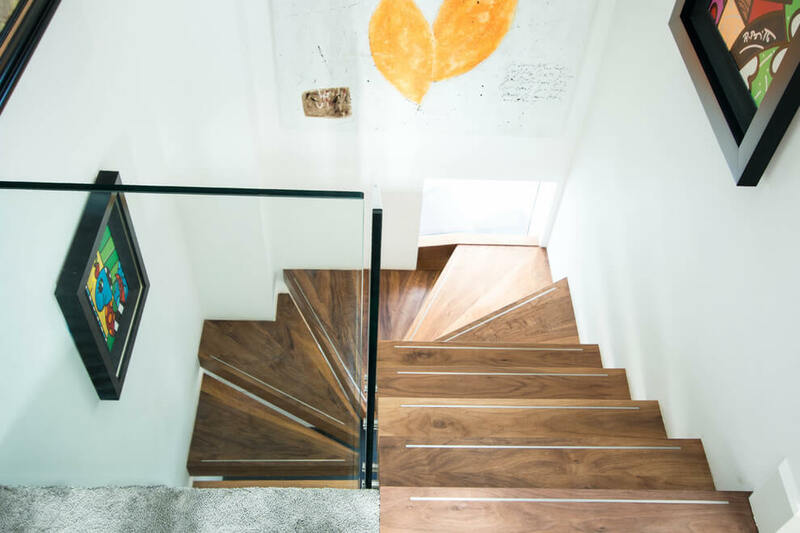 This project involved a double-winder floating staircase in order to bring out the avant garde character of the interior. 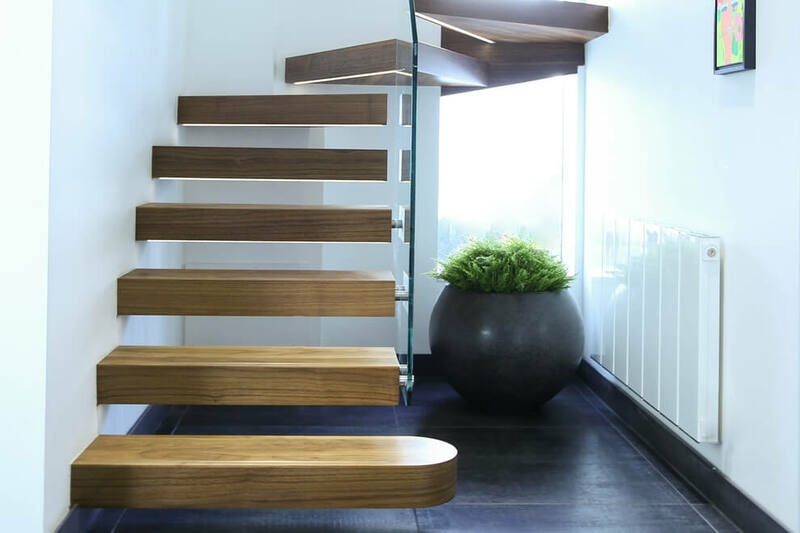 The treads are attached to the wall and made in walnut to further enhance the effect. 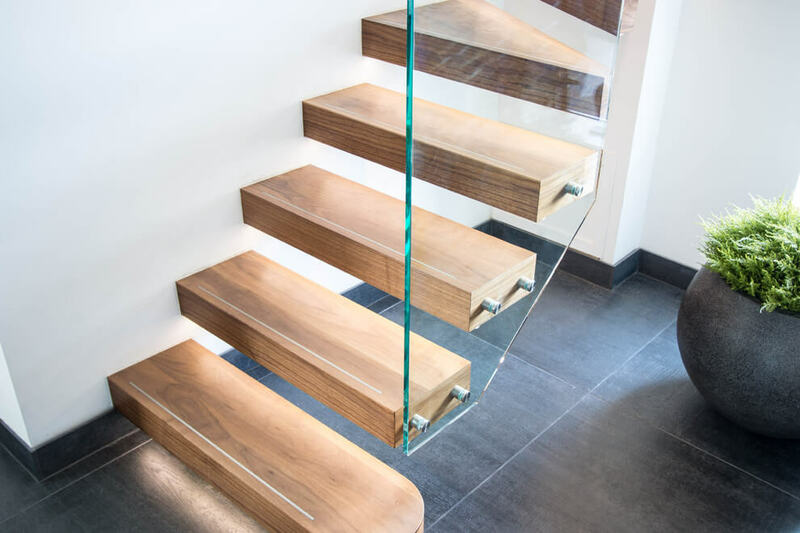 A single transparent glass wall was used as a discreet balustrade. 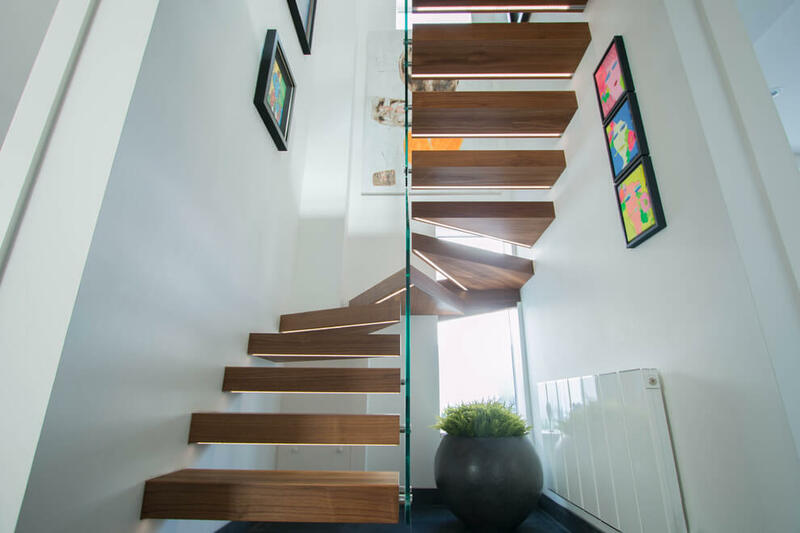 The stairs are lit up using sliver linear LED fitting, as well as stainless steel stripe installed at the bottom of each step, making treading the stairs in the dark much easier.